One of the toughest parts of my job is reporting on a vehicle that everyone expects to be bad/boring/bland but turns out to be none of these things. I love cars and can find some good in all of them (heck, even Darth Vader still had some good left in him). My saying nice things about certain models in the past has opened me up to criticism from my peers and it’ll possibly happen again. You see, I think the Buick Verano is a good car. The Verano is basically a dressed-up Chevrolet Cruze, but that’s putting it far too simply. The former shares only what you don’t see with the Chevy, and from there Buick pours on the ritz. In a word: Remarkable. Take away all your prejudices about Buick and read the following carefully. The Verano offers excellent ride quality. The way the dampers are tuned allows for a pliable, smooth ride all the while limiting body roll to very tolerable amounts. The electrically assisted steering is well suited to the Verano, too, providing easygoing weight without the 55-turn lock-to-lock from previous cars. Sliding aboard the Verano is a pleasant affair. The dashboard is familiar GM territory albeit with a mild touch of class. The plethora of buttons are nicely contained within the centre stack, and the typical GM infotainment screen does everything that is asked of it and well. Fit and finish are good, but overall, as you may have guessed by reading the previous few lines, there’s truly nothing to get excited about inside the Verano. The exception comes from the seats. They prove incredibly comfortable, and not because one sinks in them. No, they are sufficiently firm for the long haul with just the right amount of bolstering here and there. The rear bench, ideal for two, is much the same. 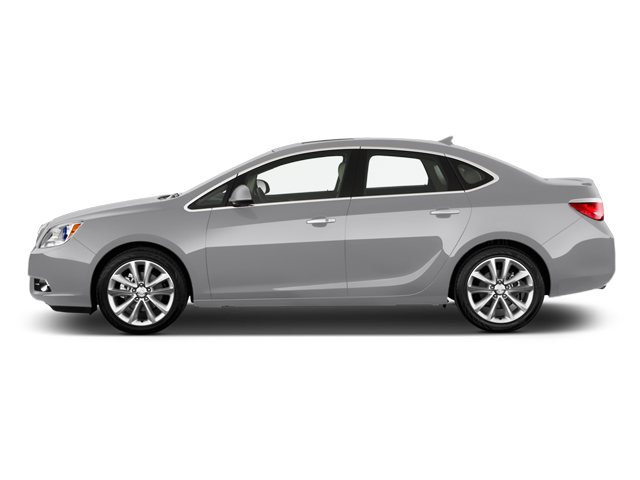 Another thing you should know about the 2015 Buick Verano is how quiet the interior is, even at speeds exceeding the legal limit. The catch is that, for the Verano to be at its best, it must be a Premium Group version, the most expensive. Why, you ask? Because this is the only way to get the turbocharged 2.0L ECOTEC 4-cylinder engine under the bonnet. With 250 horsepower, the turbocharged Verano moves briskly, and the 6-speed automatic transmission is alive and well. This entire experience with the Buick’s powertrain was a relief and a stark contrast with the Chevy Colorado and Silverado I tested only a few weeks prior. I cannot in good conscience recommend a base Verano. At $23,790, it might look like a bargain, and it can be, but a Mazda3 or VW Golf is a more interesting proposition for the same money. Further up the pricing scale is when it becomes more appealing. At $32,485, the Verano Premium Group provides all the bells and whistles to go along with the lovely engine. For this money, it’ll beat almost anything from the German and Japanese luxury brands. There is one exception and it is the Audi A3, with whom it can barely keep up on the dance floor. It’s time for GM to slash and smash Buick’s brand perception. It is Buick’s single greatest enemy, and the one that keeps new prospects from walking through showroom doors. It’s time for a halo car. The Regal GS failed to ignite passions as it could have, but I think it’s not too late for one today. Acura’s hitting back with one. Infiniti’s teased with one. It should be Buick’s turn. Miranda takes a closer look at the 2015 Chrysler 200 and reminds you of all the reasons you shouldn't dismiss this classy sedan. It might not be the fastest or the most expensive, but the 2015 Porsche Panamera GTS definitely has the largest character.